Presumptive Democratic Nominee Hillary Clinton and her Vice Presidential pick Tim Kaine made their debut as a ticket in an interview on 60 Minutes Sunday night. In the interview with CBS's Scott Pelley, Hillary complains about the scrutiny the public places on her. 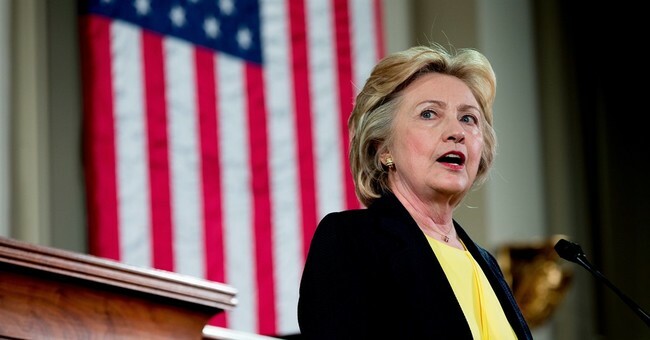 "I often feel like there's the Hillary standard, and then there's the standard for everybody else," she went on to explain that "it is unfounded inaccurate, mean spirited attacks with no basis in truth, reality which take on a life of their own." Some of the "inaccurate and mean-spirited attacks" came from Chris Christie, Reince Priebus and many more. "She was the chief engineer of the disastrous overthrow of Gaddafi in Libya. Libya today after Hillary Clinton's grand strategy... their economy's in ruins, there's death and violence on the streets and ISIS is now dominating that country," said New Jersey Governor Chris Christie at the RNC. "Just look at her disastrous Iran deal. Which lined the pockets of the world's number one state sponsor of terrorism with your money while abandoning our greatest ally in the Middle East, the nation of Israel. It was on her watch ISIS began to spread its wings of evil over the Middle East," said RNC chairmen Reince Priebus. Apparently the "Hillary standard" is just pointing out facts. Almost all of what was said about Hillary at the RNC were things that actually happened. It was proven she lied about her email servers, yet this fact is viewed as an "attack" by the former Secretary of State. If there is any "Hillary standard" it isn't any harsh scrutiny placed on her. It's the phenomenon in which she doesn't face any consequences for her actions. See this quote from FBI director James Comey's statement on the investigation. "Although there is evidence of potential violations of the statutes regarding the handling of classified information, our judgment is that no reasonable prosecutor would bring such a case... To be clear, this is not to suggest that in similar circumstances, a person who engaged in this activity would face no consequences." I would say this is a prime example of the "Hillary standard."